Is it snowing in Cerler ?¡Gracias! 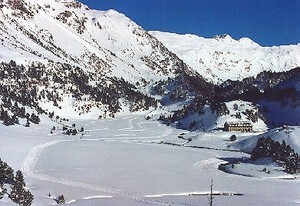 Cerler, in Spain, belongs to the Aramón group. 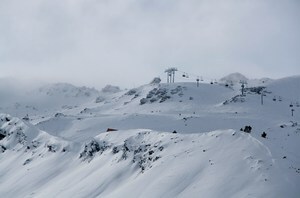 It is a large resort with 19 lifts (10 chair lifts, 9 surface lifts) that offers skiers an incredible 1133 metres (3717 feet) of vertical descent. 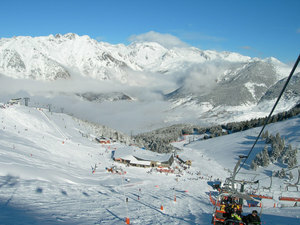 Cerler has 316 acres of terrain over 65 pistes with a total length of 76 kilometers (47 miles). 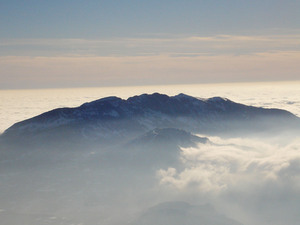 Cerler is best suited to intermediate skiers and snowboarders but there is some terrain for beginners and advanced skiers. There are 25 kilometers (16 miles) of cross country ski trails at Cerler. There is snowmaking over 90% of the resort. The nearest airport is at Zaragoza. Somehow the forecast got a little wrong today and snow is falling so hard! Powder is joining us again! After a whole week of warm weather looks like we´re gonna enjoy some fresh lines on next days. See yo at the top of the hills!